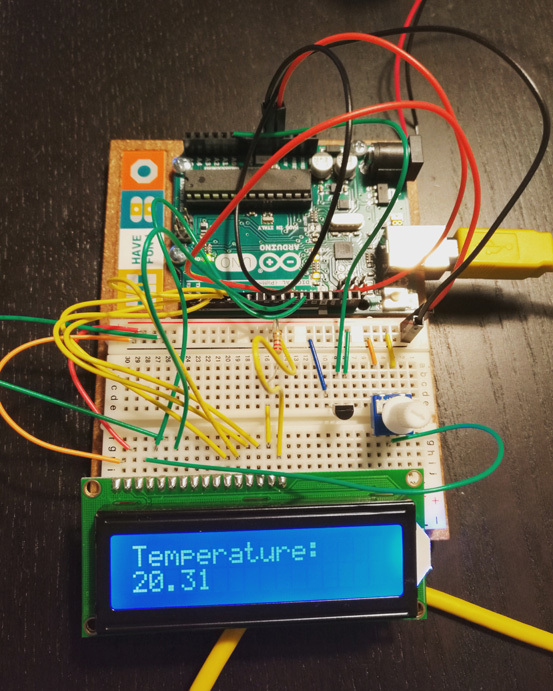 I built this thermometer that reads the sensor value from the temperature sensor and displays it on the LCD display. It basically works fine, but the displayed temperature shows a fluctuation between +/-2 degrees due to varying sensor value and voltage every second. (This is my very first Arduino project and I am pretty new to electronics.) The Arduino gets the power via my Mac through USB. When I check the sensor value and voltage, it slightly differs each second (or whatever delay interval I use in my code). Sensor value is between 123-125 and voltage usually 0.7, but also changes slightly, which causes the temperature calculation to vary around 2 degrees, which for a "thermometer" is quite a lot. Is there any way to stabilize it? Should I use a capacitor or another resistor? What you need to do is take an averaged reading, this is because the sensor is always fluctuating, noise on the 5V line or the signal line. There are possible hardware solutions. The capacitor on the Vcc and Gnd will lessen the effects of voltage spikes from the rest of the Arduino's circuitry. The low-pass filter will help give a more filtered output from the sensor with a better response over time. The heatsink will allow the LM35 to get a better reading of the general temperature and not the temperature of the breeze from a window. All three of the above solutions will probably give the best results. What you could do in software too is to have an averaging algorithm/function in your code and actually take the averaged reading across the whole second that you delay the MCU. Probably a better version of making filtering code of the LM35. There are a few things you might try to stabilize your readings. Reduce the wire sizes and make sure all connections are OK. Probably just by using technique number "2" listed above you'll get much more stable results and don't need any hardware, just a small looping. Also adding the capacitor would be quite simple. 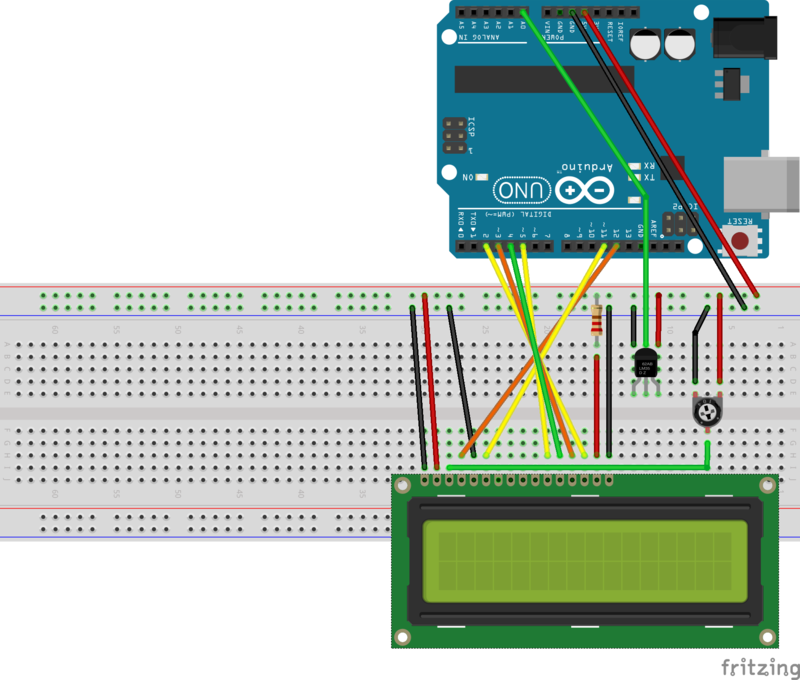 How to connect a varying output voltage to the Arduino?